3 Telluride Natives Going to 2018 Olympics! 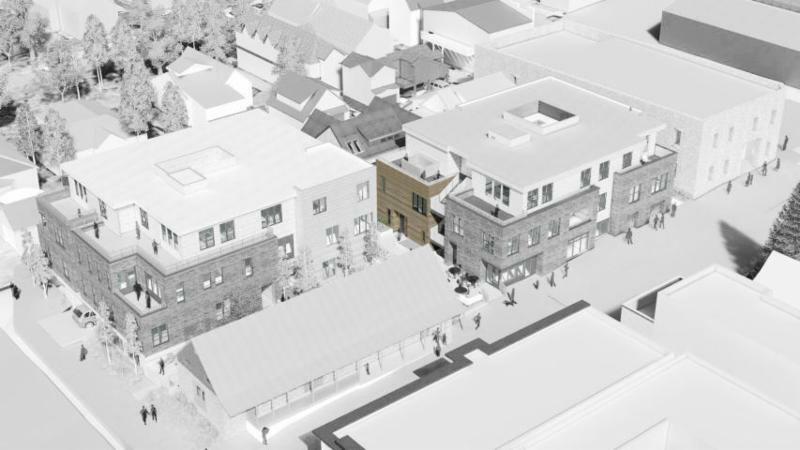 Transfer Telluride represents the beginning of a rebirth for one of the most historically significant neighborhoods of downtown Telluride. Originally at the epicenter of the mining boom, now being redeveloped as an epicenter for the arts, Transfer is your opportunity to participate in the cultural advancement of the Town. 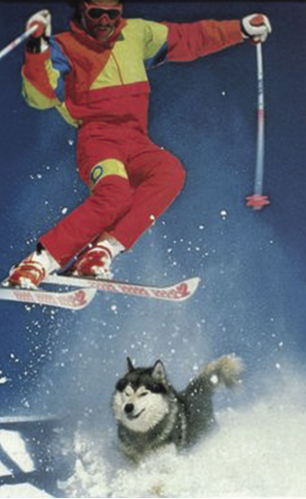 Your Ski Access is Effortless. Your Views of the Mountains are Breathaking. Your Walk to the Village Core Lifestyle and Gondola is Easy. Your Price is the Most Affordable in the Well Regarded Aspen Ridge Enclave. Unit 21 is Simply a Superb Value. 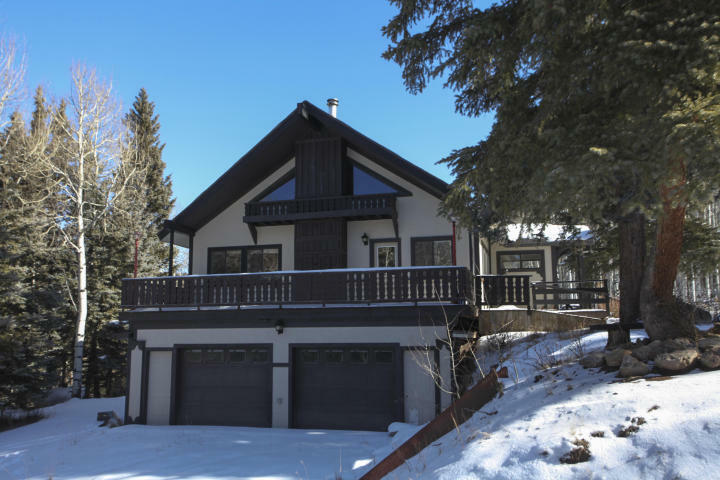 This home features a Private Hot Tub Spa and a Cedarwood Sauna to Relax in after a Hard Day’s Skiing, Hiking or Biking. The Open Floor Plan has a Vaulted Volume Great Room with Great Light and Tremendous San Sophia Mountain Views. Throw in a floor to ceiling Stone Fireplace, Two Levels of Outdoor Living Area Decks and a Well Separated 1 bedroom, 1 bath/ level Floor Plan, and you realize Unit 21 is a Wonderfully Convenient, Well Designed, Well Priced Family Ski Chalet. 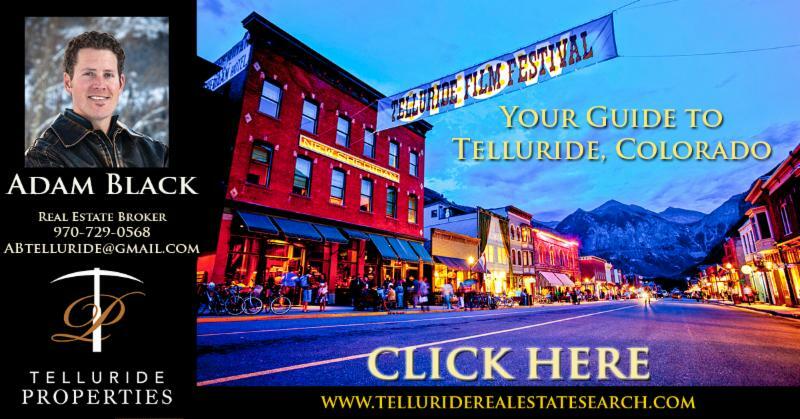 Transfer Telluride is located in the heart of Town on one of the most historically significant parcels in the region that has become the hub of Telluride’s Cultural Master Plan. One block from both the Gondola and Main Street, positions these refined mountain modern residences as the most sought after address. The forward looking design maintains Telluride’s authentic feel with warm, natural tones and materials to compliment the stunning local environment. These mountain luxury homes capture the tremendous views and light of the Box Canyon with thoughtful floor plans and outdoor living spaces. 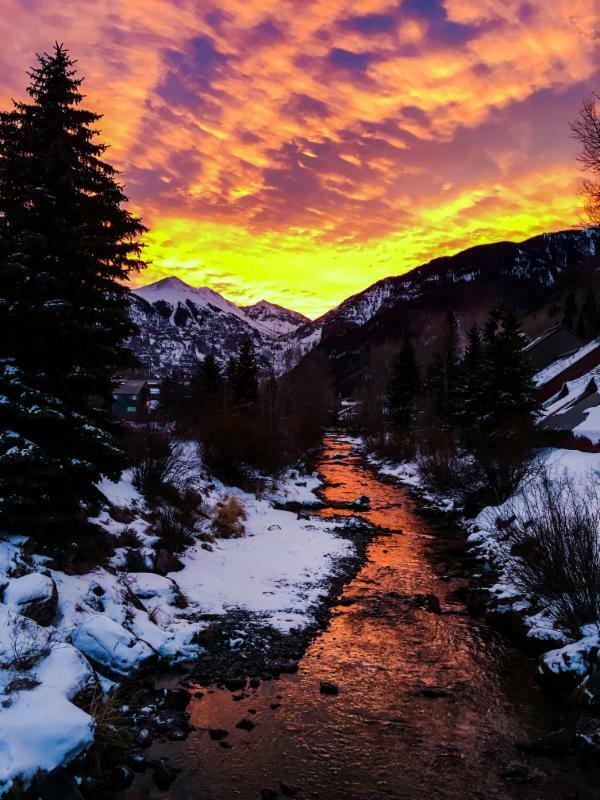 Transfer Telluride offers your family an incredibly convenient luxury residence that is immersed in the continuation of the arts and the preservation of Telluride’s history. See video for more info. Wilson Mesa Ranches charming alpine mountain hide-a-way on ten acres, Views, with privacy amidst the aspens, is located 15 miles from Telluride. Remodeled in 2016, this 1760 square foot home has 3 bedrooms and 2 baths and FLEX-ROOM above the large 2-car garage. This modern-rustic home has an open living space, sprawling decks, gas fireplaces, new appliances, heated bathroom floors, air conditioning and gas powered back-up. 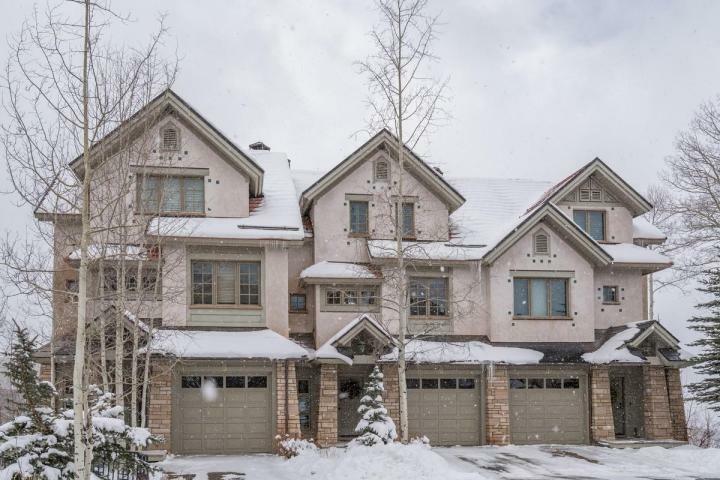 A rare find in today’s market, this incredible Aspen Ridge II townhome has everything you could possibly want. 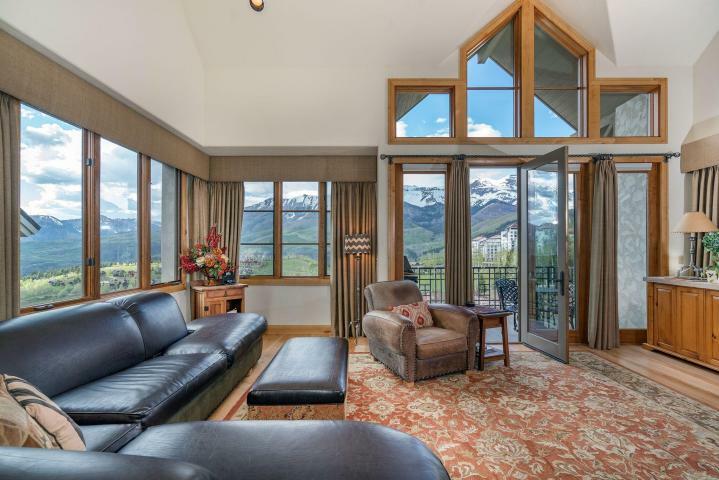 With over 2,400sf of living space, this meticulous townhome features 4 Bedrooms with 2 master suites, 4.5 baths, Ski-in/out access, 270-degree views including a perfect snapshot of Wilson Peak, high-end finishes throughout, & a 1-car garage. It also sits on a quiet cul-de-sac with only 4 neighbors & is just steps from the Mtn. Village Core & Gondola. Additional perks include: built-in humidification, in-floor radiant heat, upgraded cherry floors & cabinetry, 2 steam showers, only one owner, & has never been rented! Residence is owner-occupied, but easy to show. 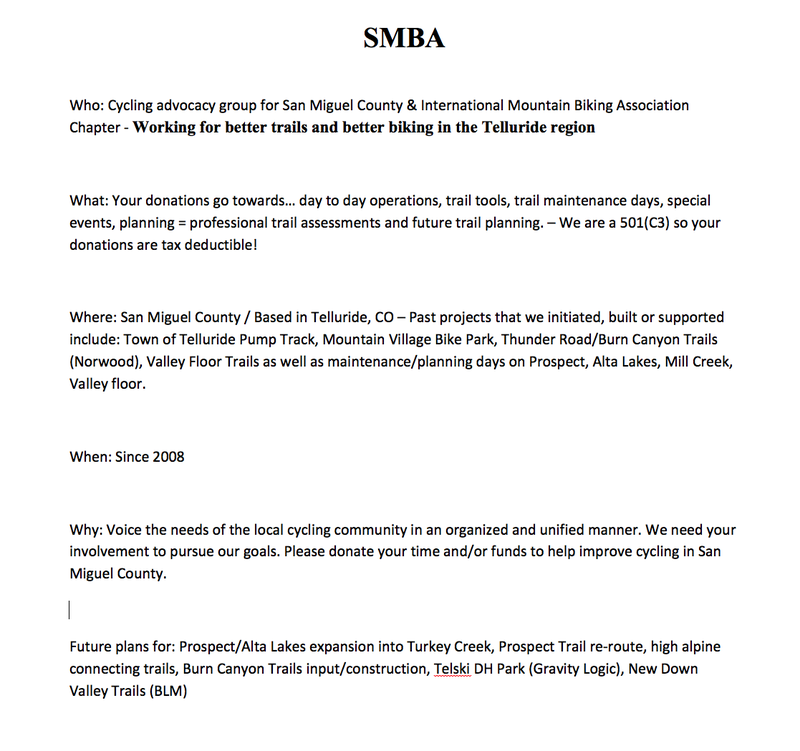 Please give as much notice as possible. The Dallas Peak Residence is the newest and most recent ski in and out access home to arrive to the Mountain Village market. A two-level clean lined modern looking home with walls of glass that seem to flow effortlessly to the mountain landscape. The upper level with vaulted ceilings and exposed wood and steel beams naturally lead to a snow-melt deck allowing for spacious outdoor relaxation and entertainment. The master bedroom, on the main level, has vaulted ceilings, a fireplace and views of the San Sophia Ridge that also lead to the large deck. Downstairs is a large living and media room along with four generous en suite bedrooms and ski room. Telluride Ski and Golf Silver Membership comes with the sale. Congratulations Gus Kenworthy, Keaton McCargo, and Hagen Kearney! 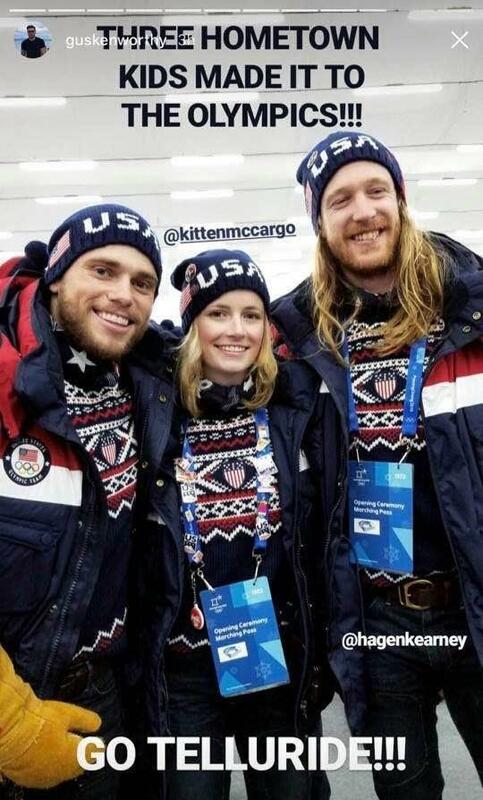 These 3 amazing athletes grew up in Telluride and are part of the 2018 Olympic Freestyle Ski Team and Snowboard Team to compete in South Korea this month. I am excited to share with you that Telluride Ski Resort has entered into a new, long-term season pass alliance with Vail Resorts beginning with the 2018-19 winter season. Telluride Season Pass holders and TSG Club members with full winter benefits will receive 50% off daily lift tickets at all Vail Resorts-owned mountains. Telluride will offer all top-tier Epic Pass holders up to seven days at our resort. This new season pass alliance will attract destination skiers to Telluride that are closely aligned with our target demographic and will have a positive benefit to the local economy. 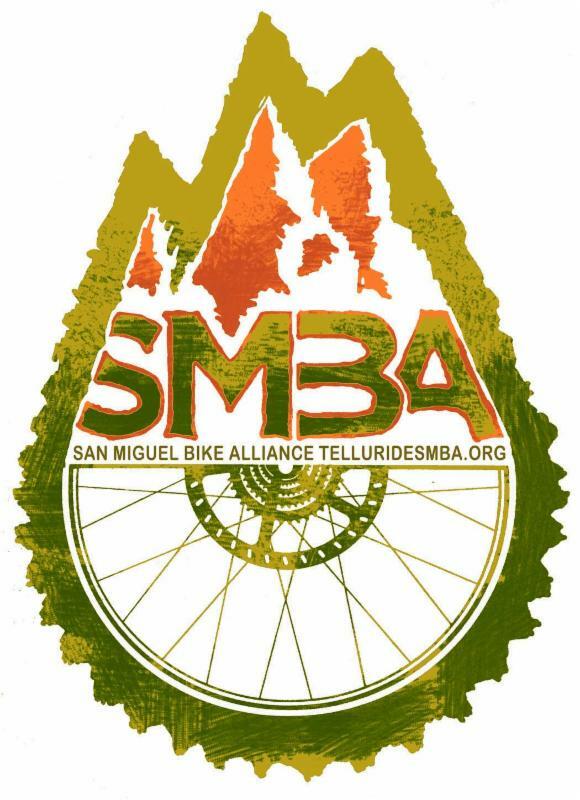 This alliance with the Epic Pass will also allow us to reach a broader national audience. It is important to note that Telluride Ski Resort remains 100% independently owned. Vail Resorts has no ownership interest in Telluride Ski Resort. This is strictly an alliance with the Epic Pass. The associated benefits will begin for the 2018-19 winter season. All Telluride Season Pass holders and TSG Club members with full winter benefits will receive 50% off daily lift tickets at all Vail Resorts-owned mountains. Season Passes include: Adult, Child, Junior, Young Adult, Senior, Palmyra, Merchant, Lifetime and Telluride Ski & Golf Club members with full winter benefits. 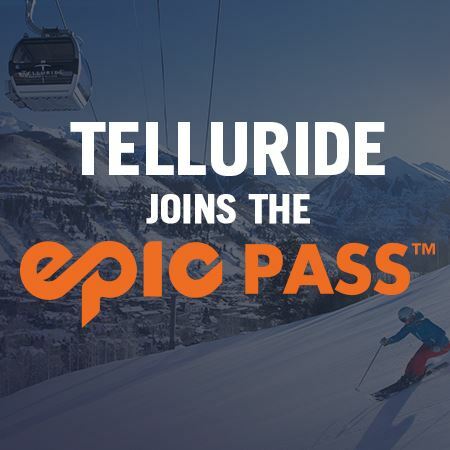 Only top-tier Epic Pass holders (Epic Pass, Epic 7-Day, Epic 4-Day) will receive access in Telluride. This alliance does not include the Epic Local or Value Passes. After the current 2017-18 winter season, Telluride Ski Resort will no longer be part of the Mountain Collective. An updated line-up of Telluride Season Passes products and multi-day cards will be announced when passes go on sale in August 2018. 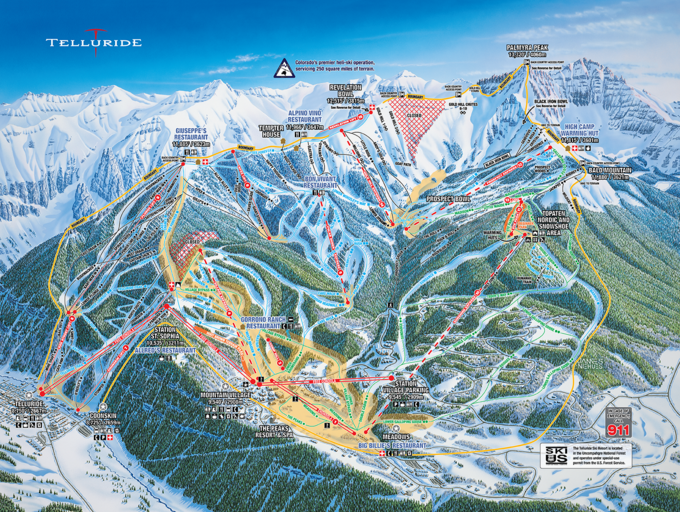 This map shows nearly all of the terrain within Telluride Ski Resort, including lifts, trails, resort boundaries, safety zones and other key features. The universe of snow skiers, aka “The White Planet,” mourned deeply last week when beloved ski filmmaker Warren Miller perished at 93 at his home in Orcas Island, Washington. Miller resided in Washington for decades, and an affectionate obituary in the Seattle Times noted that the heavens bequeathed the closest ski mountain to Orcas Island – Mt. Baker – a 19-inch snowstorm the day Miller died. Born in Los Angeles, Miller was a West Coast dude to his core. Yet he – and especially, his namesake entertainment company – forged a strong bond with Telluride as well. Film crews visited the area three different times in 2010 to shoot “Wintervention,” resulting in a gobsmacking, eight-minute Telluride segment highlighted by shots of locals Galena Gleason, Chason Russell, Brian O’Neill and Hilaree O’Neill jumping cliffs in Black Iron Bowl and slashing fresh powder on Palmyra Peak. 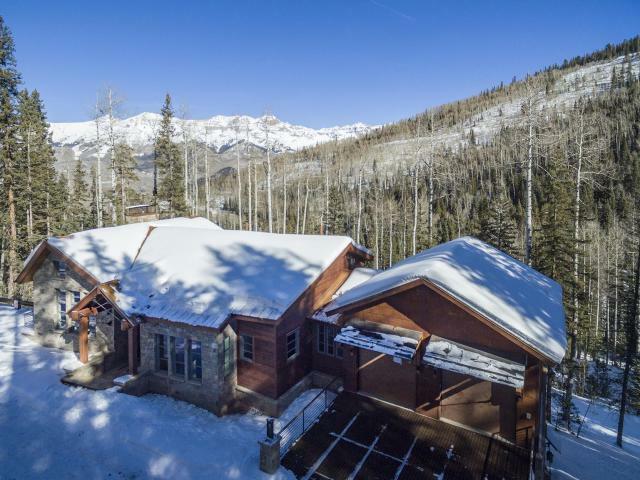 The Ski Dallas Ranch sits on 80+ private and diversely treed acres, has a spring fed water system and Leopard Creek running through the property. The home was built in 2004 and is a very solid structure composed of 3 bedrooms, 2 bathrooms, loft and plenty of space for family, or friends. There are two lots being offered in the sale, so one could be split off and sold by the future owner. 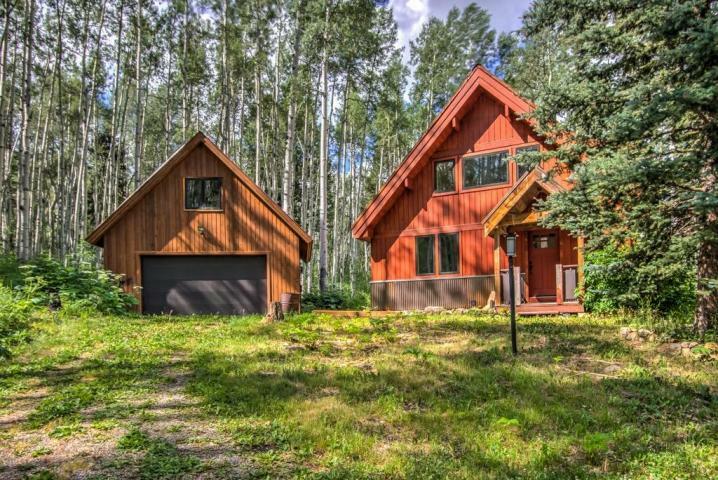 Opportunities abound with this property for a potential B&B, hunting lodge, or just your private home in the woods close to Telluride. 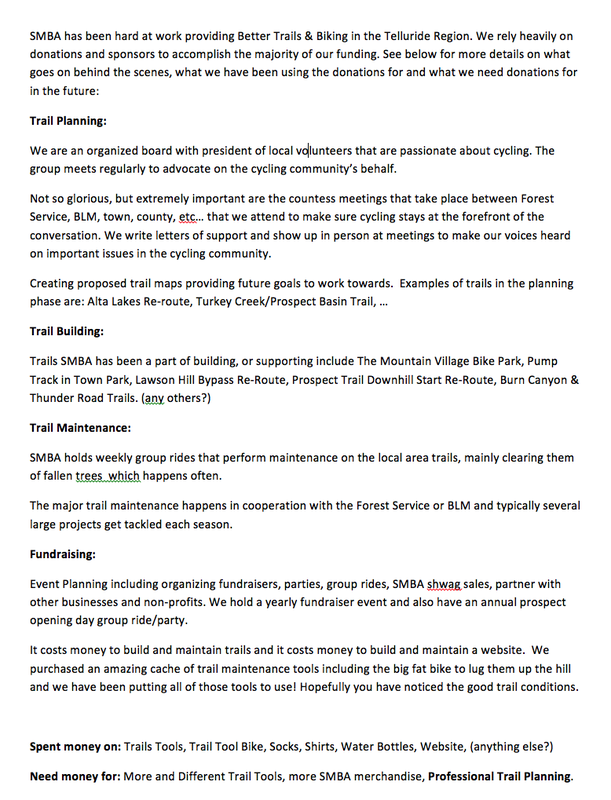 Activities that are on site or very close by include, hunting, fishing, hiking, biking, skiing, snowmobiling, horseback riding and more! Click here to donate or to find out more!